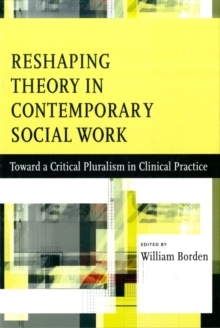 William Borden's persuasive collection of original essays reaffirms the place of theory in social work practice, showing how different theoretical models, therapeutic languages, and modes of intervention strengthen eclectic and integrative approaches to psychosocial intervention. A distinguished group of scholars and practitioners examine emerging developments in cognitive theory, psychodynamic thought, resilience research and family therapy, psychobiography and narrative perspectives, and conceptions of place and environment in psychosocial intervention. They introduce integrative frameworks for intervention and examine a series of crucial issues in the field, including the role of theory in evidence-based practice, the development of practice wisdom, and the ways in which conceptions of love, acceptance, and social justice influence theorizing and practice.